"We had Stephanie take our wedding pictures and they turned out perfect. Just lively enough to get my friends and family to show they had fun on my special day. Yet she was dignified and creative enough to have lasting memories to share with my friends who were unable to attend. She took really great shots unique to our personality. It felt like she captured “us” in our special day. I would recommend her photography in an instant!" --- Jordan W.
"My husband and I used Stephanie as our photographer last July for our wedding and we loved her! She kept what could have been a stressful experience fun and laid back! She not only has great talent, but also is very professional! Majority of our guests did not even notice that she was around and those who did speak with her had great things to say. When we received our pictures (which came very quickly) we were thrilled at the variety of photos we had and have loved sharing our wedding moments with those who could not make it and reliving the day with those who could be there with us! Thanks Stephanie and team for the awesome job!" --- Betsy F.
"Great job! We had a sunset ceremony on the beach and Stephanie did a great job getting the lighting just right!" --- Amy H.
"I absolutely love her!!!!! Stephanie's photography style is simply "Gorgeous". I definitely enjoyed my photo shoot with her, because she's so sweet and fun to work with. She took my senior portraits and whenever I get married lol, she'll be the one I call to take those pictures as well ;)" --- Brittany Y. 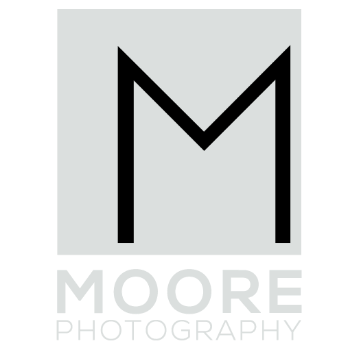 "My husband and i truly felt Stephanie Moore Photography was the best investment of our wedding day. The memories she captured were priceless. Her edge as a photographer, i swear you will never find in anyone! I have done the research for every bride to be in the 21st century, and Stephanie is it! She lets you live in the moment of your day, and she lives it with you through her lens. Her work and professionalism is unparalleled. If your a picky bride to be, rest assured Stephanie Moore will be your best decision yet, and you will have memories that last forever to prove it!" --- Samantha B. "We could not have wished for anything more from Stephanie and her team. They were professional, positive, creative, full of life, and wonderful to work with. Likewise, the photos turned out incredible. Thank you for all your hard work! We could not have been happier." --- Lisa W.
"We really enjoyed the pictures that Stephanie and Tim took for our wedding. Very professional. I recommend Stephanie to everyone and anyone that is engaged. Everyone loves the pictures. Highly recommended." --- Melissa T.
"Great photography, great photographer and great fun! Thank you for the gorgeous photos of our daughter. Can't wait until the next time!" ---Gina. P.
"Best photoshoot I've ever had! My husband and I HATE getting our picture taken but she made it so fun and enjoyable that we were not uncomfortable at all! Not only that, but I contacted her the day before. I am from Arkansas and we decided to get married on the beach at the last minute. She went above and beyond for us and we are very pleased with the photos and her professionalism. I highly recommend her!!" --- Amee B. "Stephanie made the shoot I had been looking forward to with my friends for over a decade the most special, personal, and fun thing we could have ever imagined. She was a delight to work with, laid-back, and took such beautiful shots, capturing the emotion and happiness of the time we were having. I would highly recommend!" --- Brittany B. "Stephanie did an amazing job on our engagement, bridal and wedding photos! She was such a blast to work with. I would recommend her to anyone! :)" --- Taylor E.
"Stephanie was phenomenal! She was very engaged thru the planning process and didn't miss a beat at the wedding! I highly recommend her! She is truly amazing!!" --- Jumila J. "Stephanie is so sweet and does a fabulous job of capturing the real moments! I feel like I am in the moment when I look at the pictures again!" --- Kiersten S.
"Stephanie and her assistant were wonderful. Very natural and fun photos. My daughter loved their enthusiasm. Quick turn around, too!" --- Tina G.
"Best photoshoot I've ever done by FAR and the result is an album full of gorgeous art!" --- Chelsea F.
"I've used Stephanie for corporate shoots, product shots for trade show booths and collateral, and to cover fashion shows and each time I've been extremely pleased with the results. We were able to tell her 'how' the images were going to be used, 'the vibe' we wanted them to convey, even from a far distance away (as in our trade show booths), and she listened, summarized back what she was going to go get, worked great with our staff in directing them, and the results exceed our expectations. The images captured exactly what we wanted and couldn't be happier." --- Tim M.